This will be COOL! 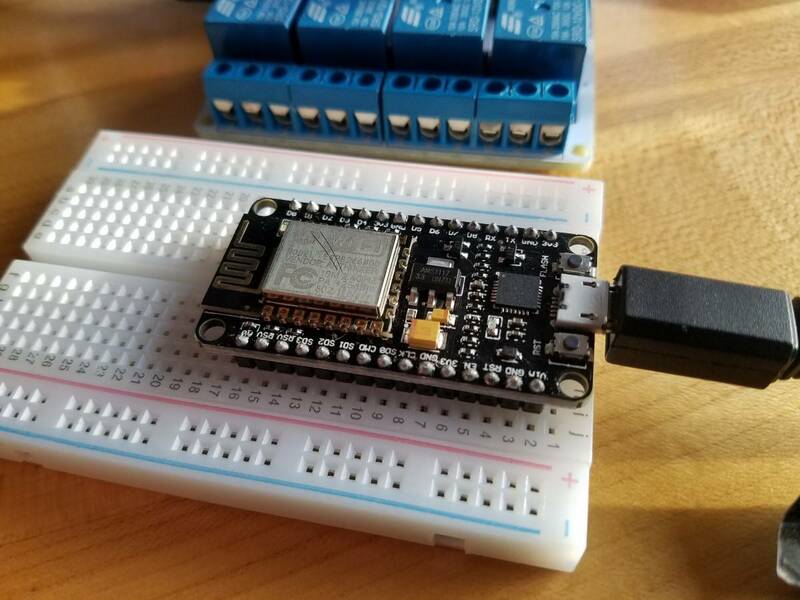 Last night I successfully programmed the NodeMCU ESP8266 board using the Arduino IDE. 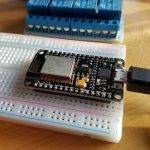 This handly little board already has the Arudino built-in, wifi, and 5V power supply via USB. 10 I/O pins will make for easy control of the Gates transmitter (If I choose to go this route), AND it can monitor the meters, AND it can put it all on a web page for easy control via mobile device or a browser. 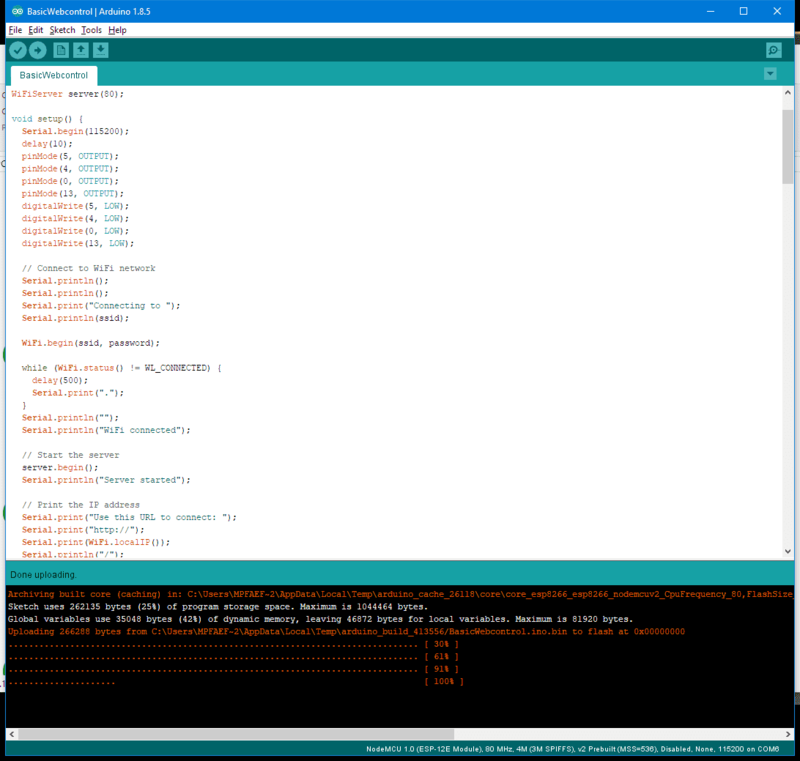 With little effort, I managed to to get the Arduino IDE application to talk to the board (had to replace the LUA firmware) and now it’s just a matter of programming what I need! 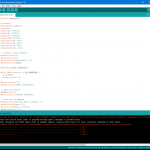 Arduino IDE talking to the wifi module. Here’s an example of what’s possible using a browser for pin control. 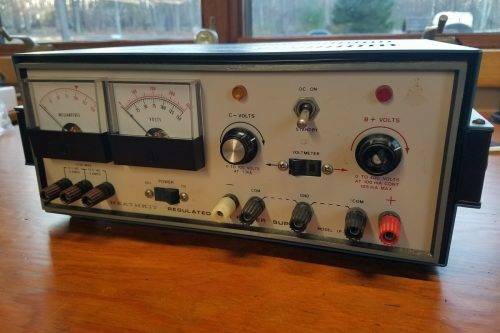 Later today I’ll add code to measure the voltage on some input pins. 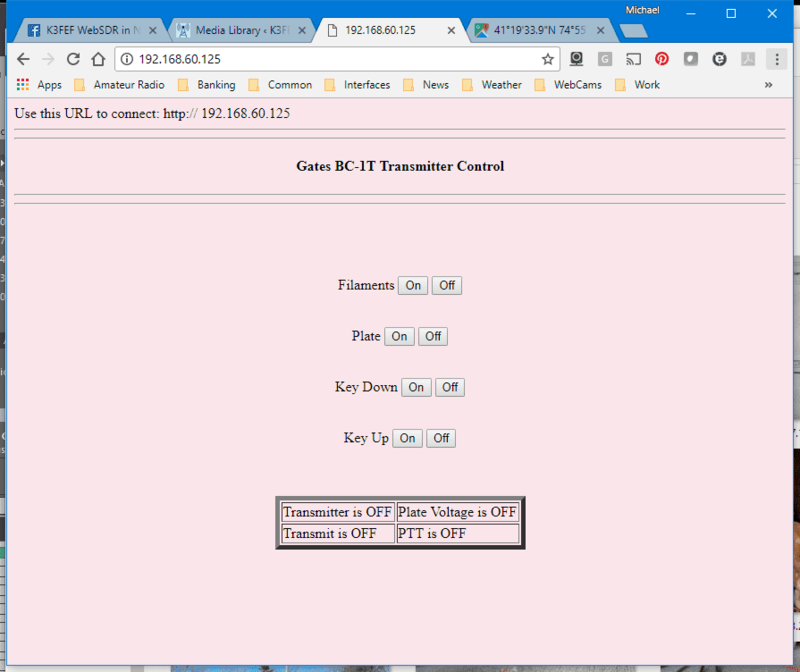 Sample browser screen with the ESP8266 as a web server. Previous: New HV supply in the lab. Next: The recent power outage and our awesome WebSDR supporters! The recent power outage and our awesome WebSDR supporters! New HV supply in the lab.